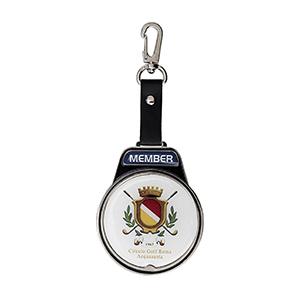 Luxury metal bag tag, a leather strap with a metal carabiner clip and large domed resin logo. Personalisation : individual names on bag tags : 80p per bag tag. Print Area : 70mm diameter.